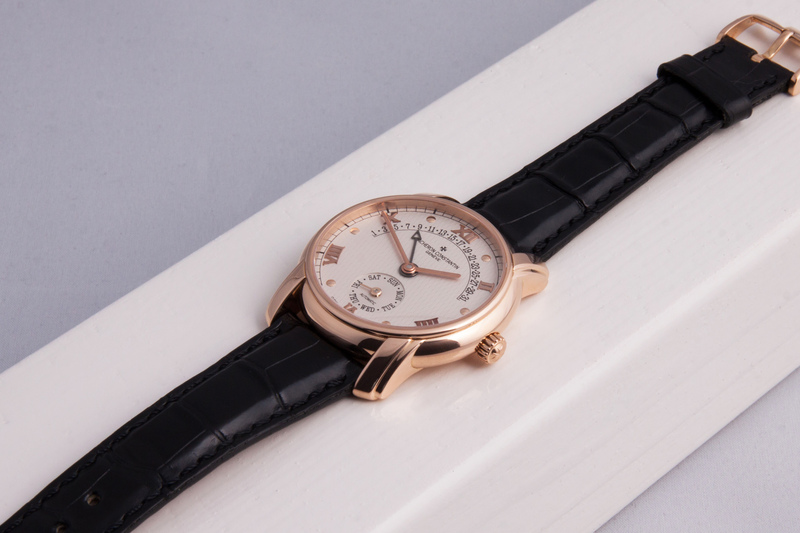 You’re looking at a wonderful and elegant 18 carat Pink Gold Vacheron Constantin with a Retrograde Date indicator on the top half of the dial and a day register on the bottom half. 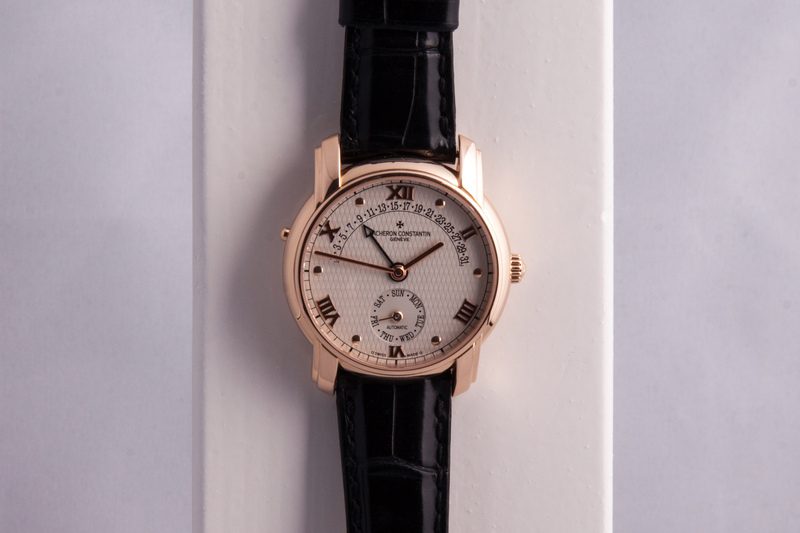 The dial itself has a beautiful plaited, Clou de Paris like pattern, giving the surface of the dial an almost 3D like effect, especially when viewed from a side angle. 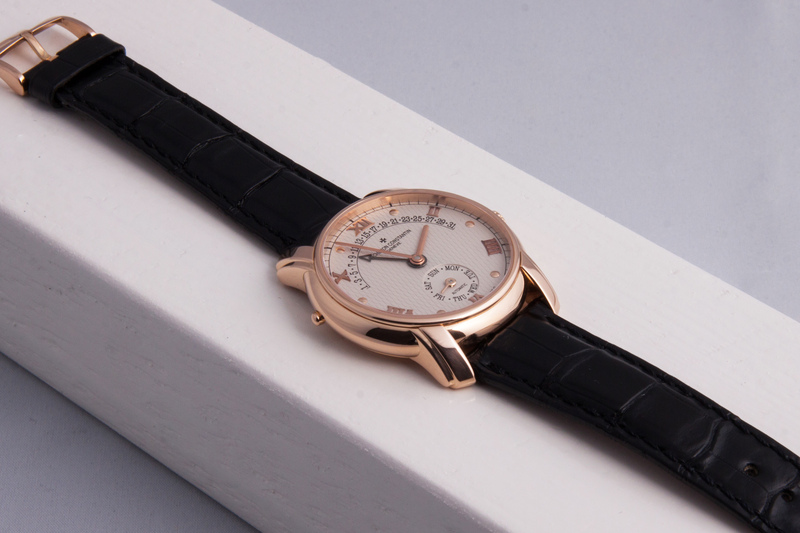 The hour-markers are a combination of 18 carat red gold applied Roman numerals, and 18 carat red gold dots. The case-back features a sapphire glass through which we can admire Vacheron’s beautiful caliber 1126 R31 and the movement’s 21 carat gold and Cote de Geneve decorated rotor! 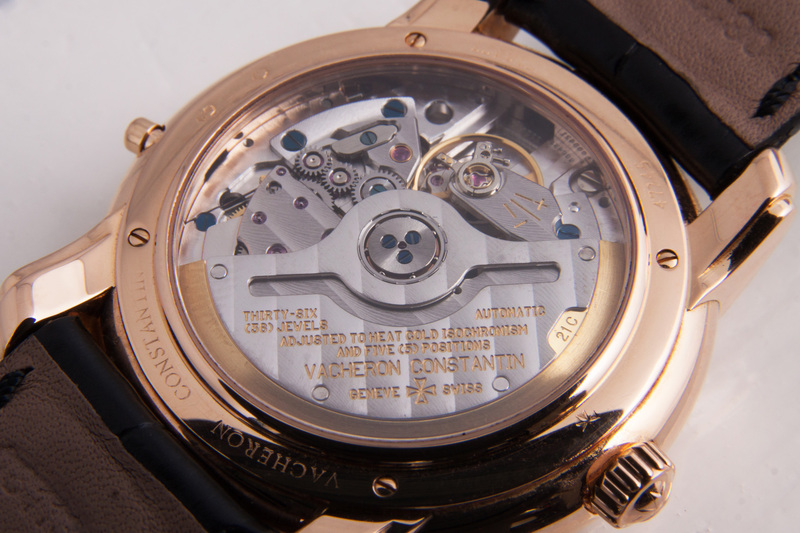 (These specific movements were supplied to Vacheron Constantin by Jaeger le Coultre, using JlC’s caliber 889). The Retrograde Date is a wonderful complication which is easy readable and also fun to watch, especially on the 31st of the month when the arrow indicator instantaneously jumps back to the first of the month while the Day indicator simultaneously changes days. The case measures 37 mm and is just perfect! It really suits to this type of dress-watch. The combination of the case it’s wonderful facets and lines visually gives the watch a bit more size while the curved lugs fit the watch perfectly to your wrist. 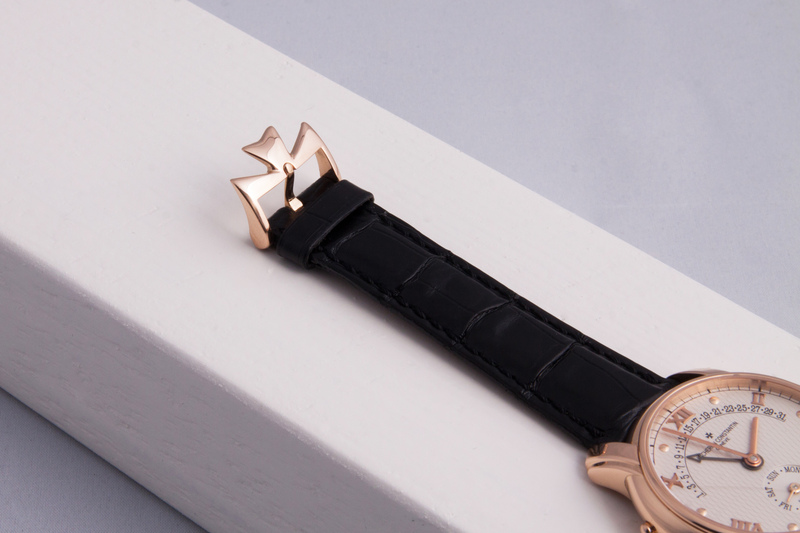 The like new, black alligator Vacheron strap is complimented by the 18 carat pink gold ‘Maltese Cross’ pin buckle. This Vacheron Constantin Retrograde Patrimony has a true but humble presence and is the perfect dress-watch for any gentleman’s wrist. 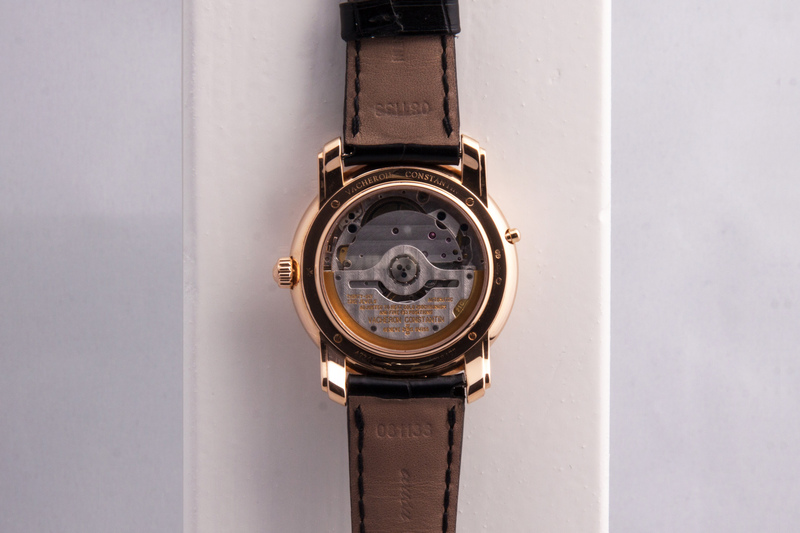 The watch has been fully inspected by our watchmakers and comes with a one year warranty.